Under the Royal Charter from King William III, in June 1701, Grace Church of Jamaica was organized. It was the policy of Grace Church to establish parochial missions in the outlying communities within the parish when warranted. Reverend Rockland Tyng Homans, Rector of Grace Church called a meeting on December 18, 1921 to organize a mission. This meeting was held at the home of EMILY and MAYBELLE ARNOLD. With only eighteen people and an offering of $7.60. The name St. Alban’s Chapel was adopted. The first recorded celebration of Holy Communion was held on the last Sunday in January, 1922. The Rector, 5 women and one man prayed for the future of St. Alban’s Chapel. During 1922 services were held in any town hall or in any of the congregation’s homes. St. Alban’s Chapel lived until the spring of 1923, when Canon Duffield and Reverend William J. Dietrich took charge of finding a new home for the young upcoming mission. On July 23, 1923, the Archdeacon took title to the plot of ground on which the church now stands. Six lots at Farmers Blvd. and Dunkirk Street. Also, in 1923 after the securing of the said ground the mission became a diocesan mission. In 1924 the church received its first building, a portable church building discarded by St. Luke’s Church of Forest Hills. In January 1927, the Reverend Harry J. Stretch became the first Rector of the parish. It was during this time that Father Stretch acquired the Rectory, and the church was started. The corner stone was laid on December 13, 1930 by Bishop Stires. The building became occupied on Easter Day, 1931. This story does not end here. During the following years of the depression it was often difficult to make the mortgage payments. But, with the help of God, Bishop Stires, Bishop Larned, Dr. Barnes and the Trustees of the diocese, the Church of St. Alban the Martyr survived and was incorporated in 1940. Upon the Church’s incorporation, the church and the Ministry grew out of faith, self-sacrifice and love. It was envisioned in the 1980’s that it was necessary to erect a building to provide additional Sacristy, office space, classrooms for Sunday School, a Choir Rom and an office. This took great leadership and dedication, hardworking Vestry and Parishioners who worked hard to complete the building. This building was finally constructed and consecrated in the early 1990s and has made service its purpose. The Pastoral Care Committee handles the visitation of our sick and shut in parishioners, in addition to handling the needs of the parishioners during times of bereavement. The Youth and Children Formation meet on Sunday managed by a superintendent of Formation currently working on a Christian curriculum. Adult Formation is a dynamic group of men and women who are avid readers and concentrate on reading and discussing many recommended best sellers. Currently engaged in reading “Twelve Steps to Compassion” which continues to generate great conversations. St. Anne’s Guild for Women of the Church of which all women are members. This Guild handles many activities including social and Christian events such as educational, Christian formation and Scholarships. The Guild of the Blessed Mother (Altar Guild) is in charge of Altar and the Priest’s needs for ensuring that all needs for the Liturgy are met. The Usher’s Guild currently welcomes all who enter the Church and ensures that they have what is needed for attending the Church Service Liturgy or any other Church activities. The Men’s Guild is a guild for men of the Parish who work with the Youth of the Parish, provide assistance as needed for Parish activities and is involved in Christian activities. Girls Scout is joint with the Community and surrounding Scout groups. This is a large Group of girls who gather with their respective scout leaders on Saturdays, working on many activities to gain their badges, community service and growth & leadership. We are very proud of our Girl Scouts. Alcoholics’ Anonymous meet in our Parish Hall two nights weekly, and the Lions of St. Albans also have frequent meetings in the Parish Hall. For many years two of our parishioners have been servicing the community with their taxes and forwarding to the IRS. They have been commended by the IRS for their service to the community. 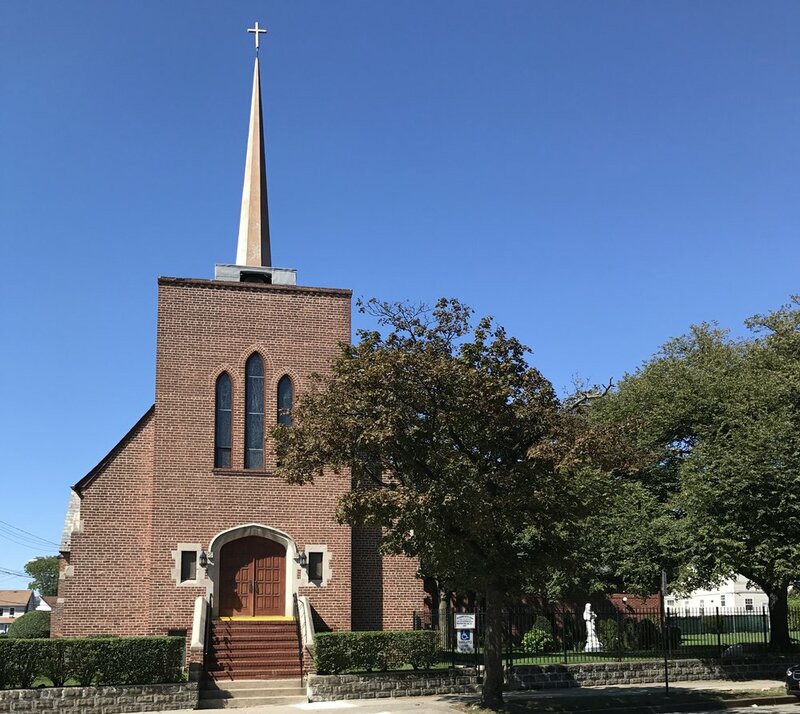 We have an Executive Committee who work with the Priest in order to manage the operations of the Church and properties, and a Finance Committee who works diligently on budgets and minding the fiscal stability of the Parish.